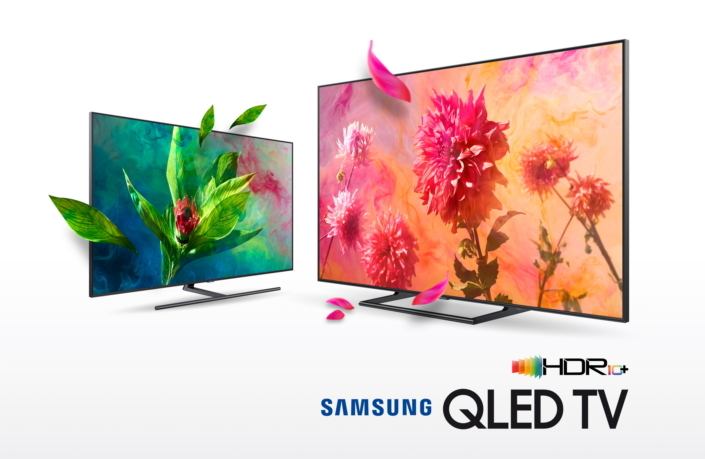 Samsung Electronics today received the official HDR10+ logo certification for its 2018 Premium UHD and QLED TVs being HDR (High Dynamic Range) 10+ compatible. HDR10+, a next-generation core technology for ultra-high picture quality TV, provides users with a premium HDR viewing experience and delivers pristine images as originally intended by creators while contributing to the creative activities of film studios and directors. With HDR10+ technology which helps HDR TVs to optimize brightness levels on a scene-by-scene by incorporating dynamic metadata, Samsung TVs can produce brighter highlights and darker darks for additional depth and sense of realism on-screen. The HDR10+ certification program creates a foundation that provides viewers with an enhanced viewing experience while also developing a range of plans to extend the HDR10+ ecosystem. Film production company Warner Bros. will also start creating HDR10+-compatible contents, which will be available for home distribution later this year. In addition to that, Samsung partnered with Twentieth Century Fox Film Corporation to standardize the HDR10+ licensing process, in order to make it easier for content creators to realize its technology, get closer to filmmaker’s creative intent and improve the viewing experience for all audiences. Twentieth Century Fox is currently exploring several titles for release and plans to announce their availability in the coming weeks.